We tend to watch a lot of home improvement shows on the weekends. You know the shows I mean, the ones on HGTV or DIY where they start with a disaster of a house/kitchen/bathroom/yard and 30 minutes later they've got a gorgeous new space. It's a great way to get new ideas, both for things we like and for things we don't like - even if we don't really have any home improvement projects on the horizon. I've noticed that the easiest way to make a decision about something, including home improvement and updates, is to first eliminate the things we don't like. That really helps narrow things down. That doesn't mean it will be easy to choose the perfect fixtures when visiting a showroom - because there are still so many to choose from but it does help a little. 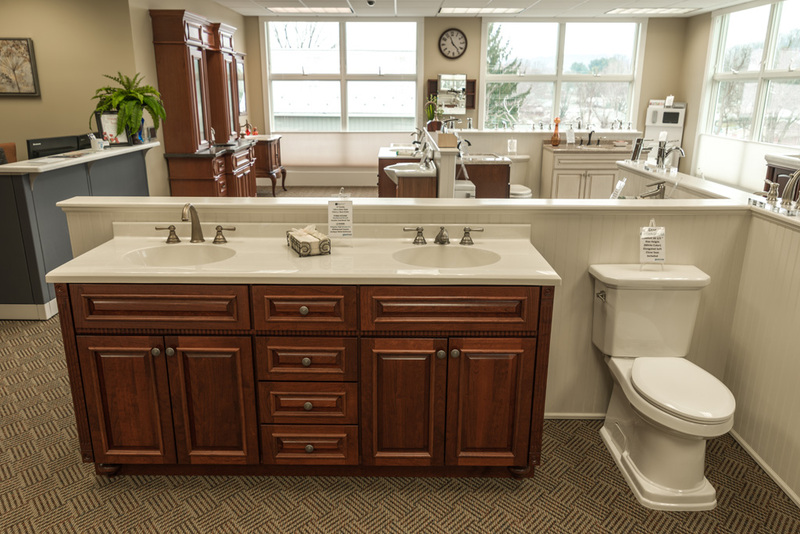 Of course, the easiest thing is probably to walk into a bathroom showroom and fall in love with something right away. Then there's no need to look at anything else. I tend to work that way. If I like something, I know I like it the first time I see it. The problem really is when I don't see something I really, really like, and then I have to choose from several different things that I kind of like but maybe don't love. There are plenty of other decisions that need to be made.